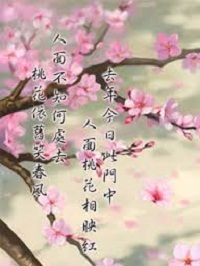 The Chinese of this Chinese story "A Charming Face Among Peach Blossoms--Ren Mian Tao Hua" is 人面桃花, and Pin Yin rén miàn táo huā. During Tang Dynasty in Chinese Bao Lin City, there lived a young nobleman named Cui Hu who was renown for his literal talents. One year, he went to Chang An, the capital of Tang, to participate in the imperial examination, but the result was quite disappointing: he failed to pass it, which made him very depressed. To alleviate boredom, he went to the suburbs for an outing on the following Pure Bright Festival. In early spring, the scenery of the countryside was beautiful, but Cui Hu was not in the mood to appreciate it, and just followed his nose, wandering around. A few hours later, he found himself in front of a yard located at the edge of a small and quiet village. The gate was closed; near it was a peach trees in full bloom, and the pink flowers stood out brightly, set against the white yard wall. Being tired and thirsty, Cui Hu knocked at the gate, which was opened after a little while, and a girl came forth. Although plainly dressed, she was as pretty as a flower. Cui Hu, shocked by her beauty, was at a loss for words for a moment. Being amused by his silly look, the girl, smiling, asked Cui Hu how she could help him. Cui Hu, in fact, was good at speaking and extremely wanted to talk with the girl, but at that time he was so nervous that he only said he wanted some water. The girl walked back to the yard and returned with a big bowl full of water. Cui Hu, took the the bowl and gulped down the water which immediately quench his thirst, but he could not tear himself from the pretty girl and thus asked for another, which he gulped down as well. Unfortunately, he could not yet work out how to start a talk with her, so he had to ask for the third. After stuffing himself with it, Cui Hu had neither any room for more water nor any excuse to stay longer. The breeze was playing on the peach flowers, and a petal fluttered onto his shoulder, seeming to remind him that it was time to leave. As he was walking away from the small village, he felt something lost to him and could not help looking back, seeing the girl still standing under the blooming peach flowers with the empty bowl in her both hands. After encountering the girl, Cui Hu soon went back to his home town and began to prepare for the next imperial examination. He thought that he would forget the girl just as quickly as he did others who he met by chance. He was wrong, however, and instead he got lovesick for the girl who he met only once. Finally, he made up his mind to tell his parents the story and that he would go to the small village and offer marriage to the village girl. Seeing their son was pining away for love, his parents gave him their permission. When he agitatedly came to the village again, it was a whole year later. The peach tree was still in full bloom with beautiful pink flowers fluttering in the spring breeze. He knocked at the gate thousands of times, but no one answered. A villager told him that the girl had married and her family had moved. Cui Hu felt that his heart had disappeared and left a hole, and with no tears, he just impassively stood under the peach tree gazing at the flowers for hours until a petal drifted down to his face. Taking out his writing-brush, he wrote a poem on the yard wall and then left with immeasurable melancholy and loneliness. Your face was extremely charming against the flowers' beauties. Only the peach flowers smiling in gentle breeze. This love story is from a book called "Story Poems (Ben Shi Shi)", a Poems Collection book written in Tang Dynasty. 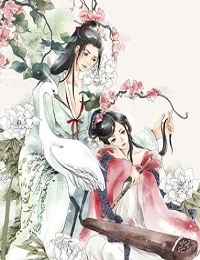 The idiom "A Charming Face Among Peach Blossoms--Ren Mian Tao Hua" now is used to describe young ladies' beauty or those women who are beautiful but beyond reach.